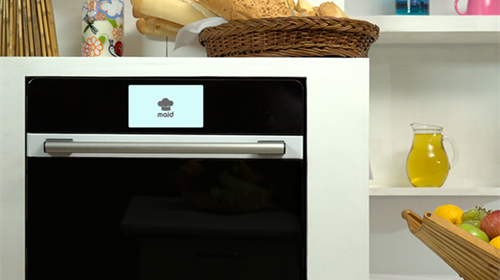 Let’s face it, cleaning your oven is one of those chores we all put to the back of our minds. Then, when we do get around to it, it takes the best part of a day. Time that we could be spending doing something much more exciting. There are some methods that take less man hours, such as our Baking Soda and Vinegar hack. But, leaving your oven to soak overnight means that you cannot use it and the chore now takes up time over two days. If you want to get a quick fix, between your professional cleans, you could try our fast steam process. Remove all the racks from your oven and wipe away any loose debris. Add back in the bottom rack, and place on top a metal baking dish filled with ½ cup of white vinegar and water. You should also make some of this mixture into a spray bottle. Bake at 180°C, until the mixture has steamed the oven. Open the oven and carefully spray the surfaces with the cool mixture. Be very careful not to burn yourself. Shut the door and leave the oven to cool, this can take around 30 minutes. 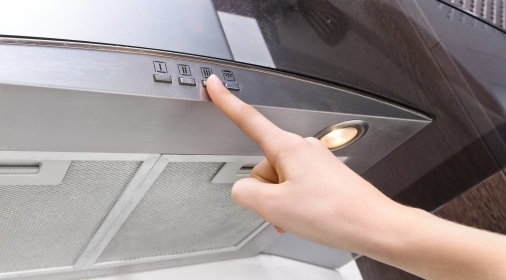 Be sure you are comfortable with the oven temperature before returning to it. Wipe down your oven. Mix a paste of baking soda and lemon juice, you can use this mixture to scrub any hard to remove areas. 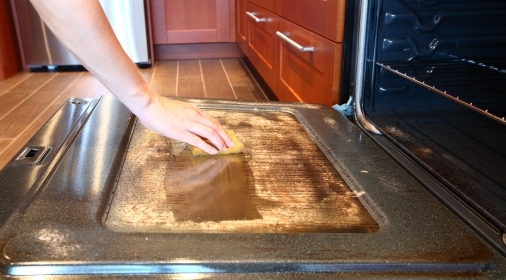 We recommend you keep on top of cleaning your oven between regular professional oven cleans. 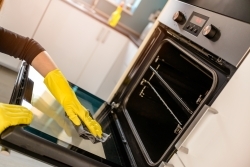 You should have your oven professionally cleaned at least once a year. If you’d rather leave it to the experts, our specialists are nationwide and can clean a wide range of appliances. To book in your professional clean, call us on 0800 840 7127 or click here for a free quote.